Abstract—With huge growth in enterprise data, intelligent information retrieval methods have gained research focus. This paper addresses the difficulty of retrieving relevant, pertinent, and novel information for a large system that involves fusion of data in different formats such as, text, barcode, and images. We propose a framework to combine an intelligent image retrieval and intelligent information retrieval (IIR) along with the user profile learning to develop a recommender system. We demonstrate the application of our proposed framework in a real-life situation. S. Venkatraman is with the School of Science, Information Technology and Engineering, University of Ballarat, PO Box 663 VIC 3353, Australia (e-mail: s.venkatraman@ballarat.edu.au). S. J. Kamatkar is with Central Computing Facility at University of Mumbai, India - 400032 (e-mail: sjk@mu.ac.in). 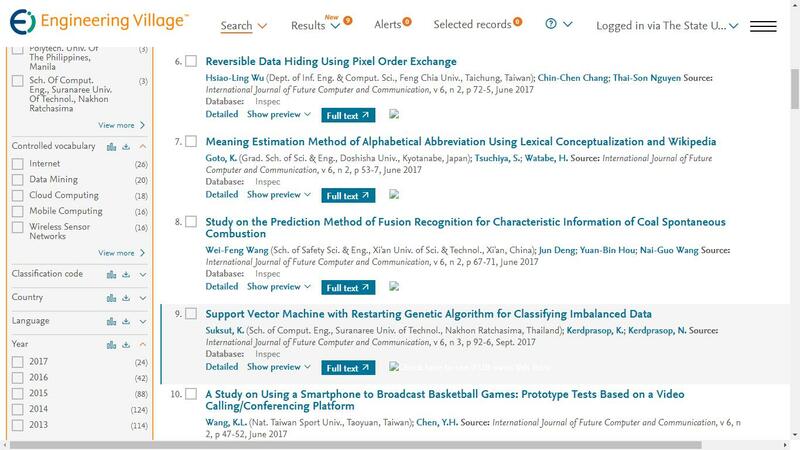 Cite: Sitalakshmi Venkatraman and Sadhana J. Kamatkar, "Intelligent Information Retrieval and Recommender System Framework," International Journal of Future Computer and Communication vol. 2, no. 2 pp. 85-89, 2013.